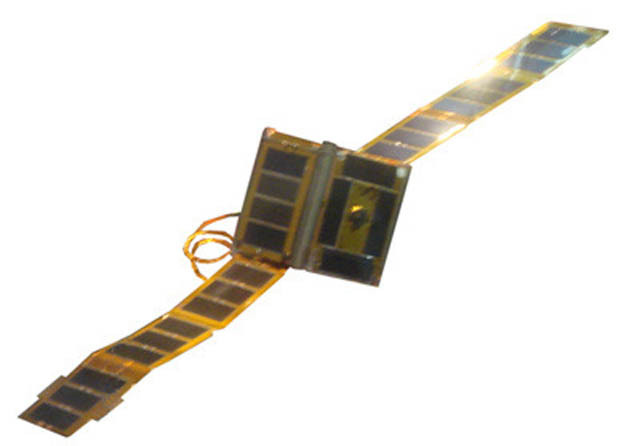 BBC News is reporting that at 0538 UT on Thursday, May 23 Ecuador’s new NEE-01 Pegasus 910 MHz CubeSat collided with debris from a S14 Soviet rocket launched in 1985. The satellite was some 1,500 km east of Madagascar at the time. Pegasus, launched less than a month ago, is the first 1U CubeSat to carry a HD TV transmitter and deployable solar panels. The basic satellite is just 10 by 10 by 10 cm but, when deployed, the solar panels have a span of 70 cm. Ecuador’s first Astronaut Ronnie Nader is quoted as saying “Pegasus could be damaged or spinning out of control, but because it’s still in orbit, we have hope“. May 23, 0700 UT: Ronnie Nader posted “Survived the event, but we are almost sure of side impact with particles, tomorrow [May 23 ECT?] we will see the state of Pegasus, but we are still in the sky, still have Pegasus”. 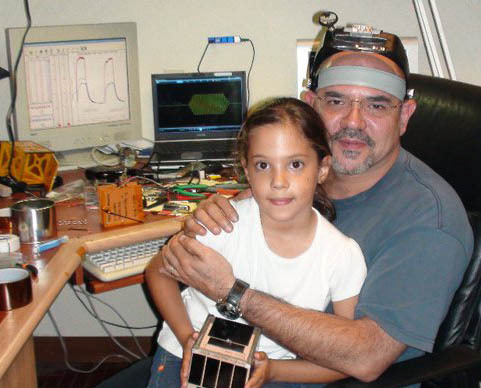 May 23, 1600 UT: Ronnie Nader tweeted “Now we are sure that there [was] particle impact“. Educational outreach is an important part of the project. The Ecuadorian Space Agency EXA is partnering with schools in Ecuador as part of the ASTERIA Program, in which students will use the satellite in their curricular and extra curricular activities. 902 – 928 MHz is an amateur radio allocation in some countries. The Hams in Space team, who tour the U.S. mid-west demonstrating satellite operation to amateur radio clubs, have produced two new videos – one which introduces what Hams in Space is all about, and another on Hand Held Antennas for working the FM Amateur Radio Satellites.